Following a highly successful international business career - including marketing, corporate development and strategy roles and culminating in CEO positions in global organisations - he gained a Masters in Organisational Behaviour. 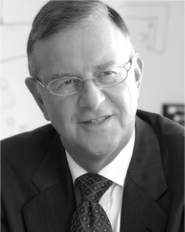 He has advised Boards, conducted Board Reviews for major FTSE and overseas corporates and coached directors. "We would be pleased to discuss your needs, elaborate on the methodology, or simply provide advice on your internal board reviews"